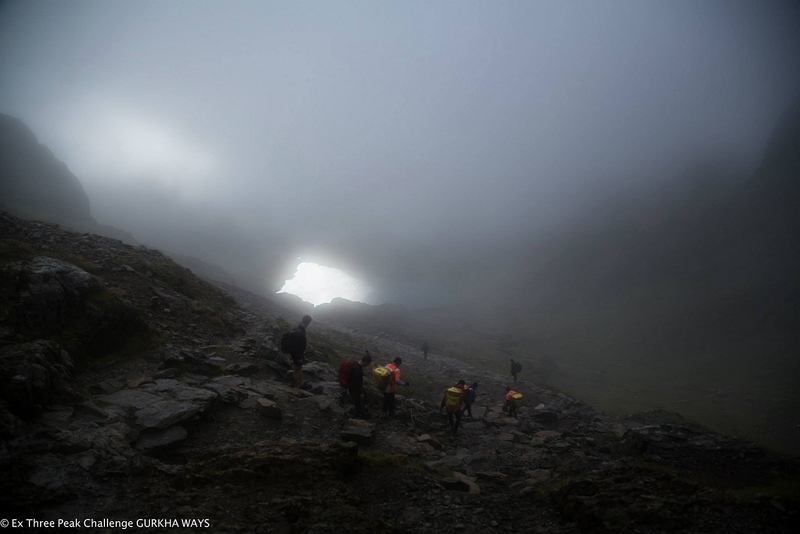 On Sun 22 Sep13, Ex THREE PEAKS CHALLENGE GURKHA WAYS was finally completed. 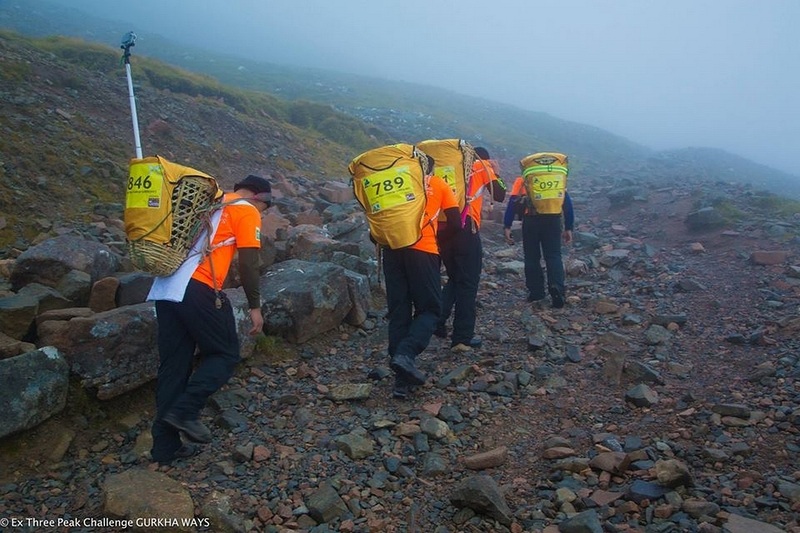 A normal National Three Peaks Challenge was carried out, carrying 25kg of load in DOKO (a bamboo basket) so called ‘DOKO RACE’, one of the hardest tests during the Gurkha selection process in Pokhara Nepal. 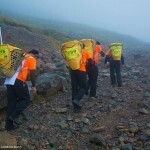 Four members were carrying DOKO with 25kg of load and competing exactly same challenge with others who were carrying nothing except some water and personal clothing. 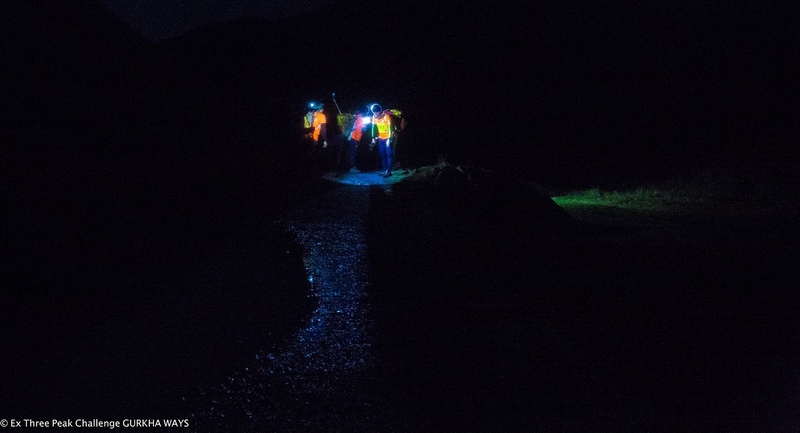 Three members were always occupying the team including a camera man to make sure their safety throughout the course. Four drivers were remained at the car park and their responsibility was to prepare food and drinks for the participants and drive vehicles safely and timely manner day and night. 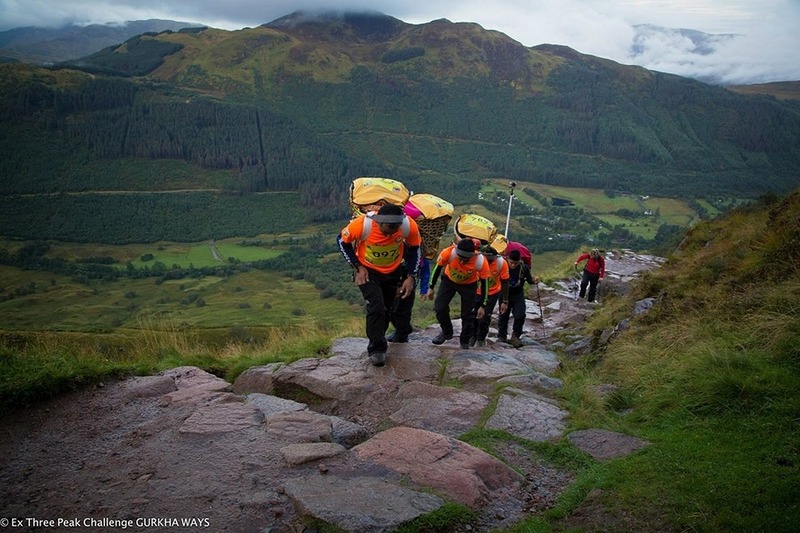 The team walked 42km of up and down hill trail, climbing over 1000m and drive 725km of roads between the highest peaks of Scotland, England and Wales. 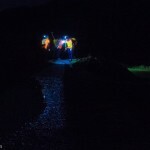 The targeted timing to complete the challenge was in 36hrs however with the determination, hard work and strong mentality and at the same time with a very good support team, the team completed the whole challenge in 26 hrs and 35 mins. 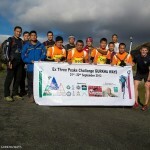 The main aim of the event was to raise money for the Gurkha Welfare Trust as well as to promote Gurkha 200 celebration in 2015. 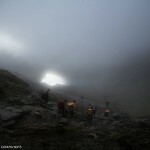 The team has now managed to raise £1600 out of targeted amount of £5000 so far, therefore the team is in need of raising money up to their target. 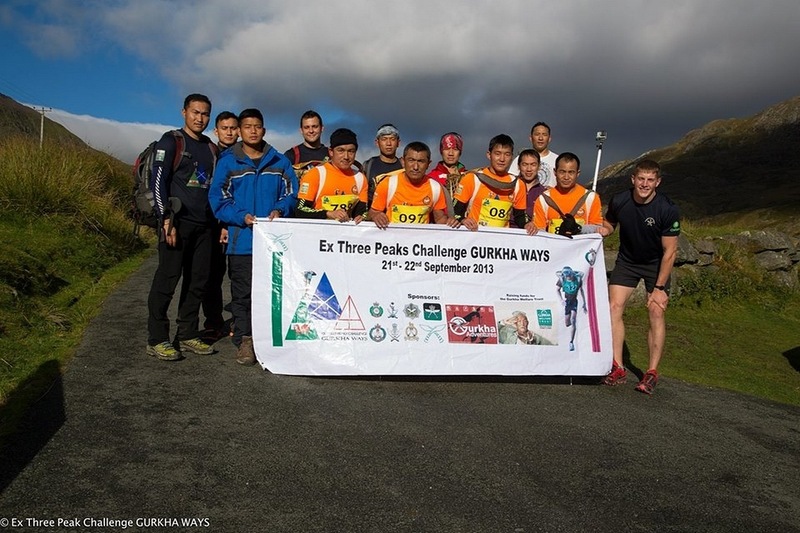 Although the team has yet to receive funds from the units across the Brigade of Gurkhas, the fundraising page will be opened until 31 Dec 13. 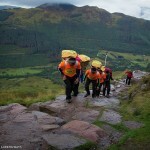 Please support the team by donating some funds using fundraising page on: http://www.justgiving.com/govinda-bahadur-rana.